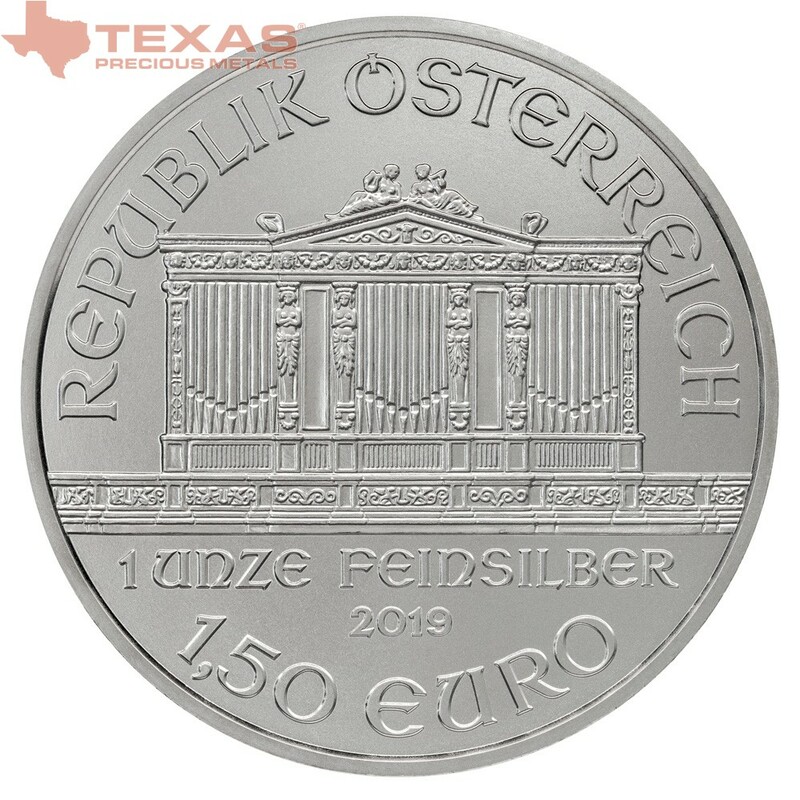 The 2019 Austrian Silver Philharmonic is comprised of one troy ounce of 99.9% pure silver, the IRA-eligible coin carries a face value of 1.5 euros and is legal tender backed by both the government of Austria and the European Union. 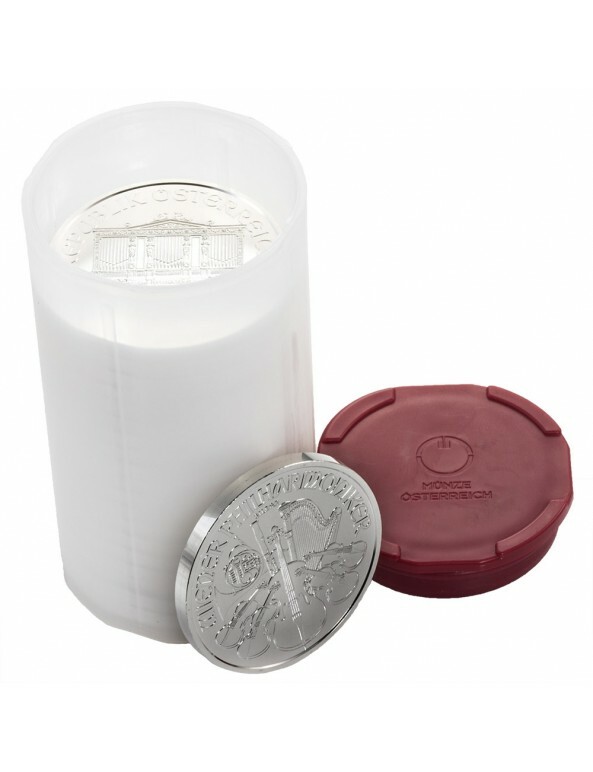 Purity, weight, and content of Silver Philharmonic coins are guaranteed by the Austrian Mint, which is located in Vienna, Austria. 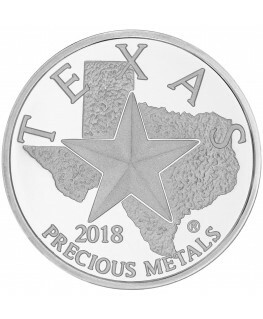 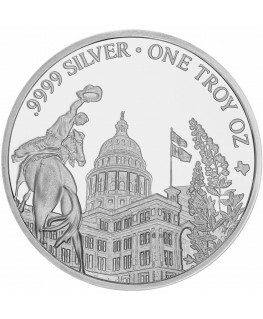 The silver version of the Philharmonic coin was issued on February 1 of 2008 following the success and popularity of the Gold Philharmonic coin. 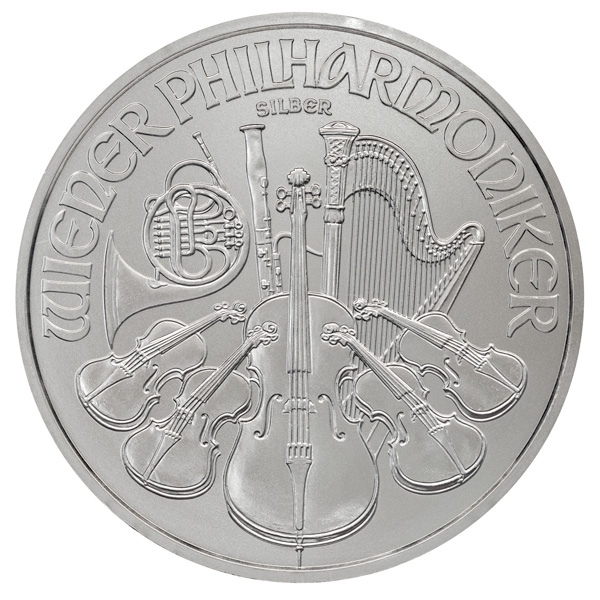 Designed by Thomas Pesendorfer, the artwork on the Austrian Silver Philharmonic coin is a striking compilation of distinguished orchestral instruments. 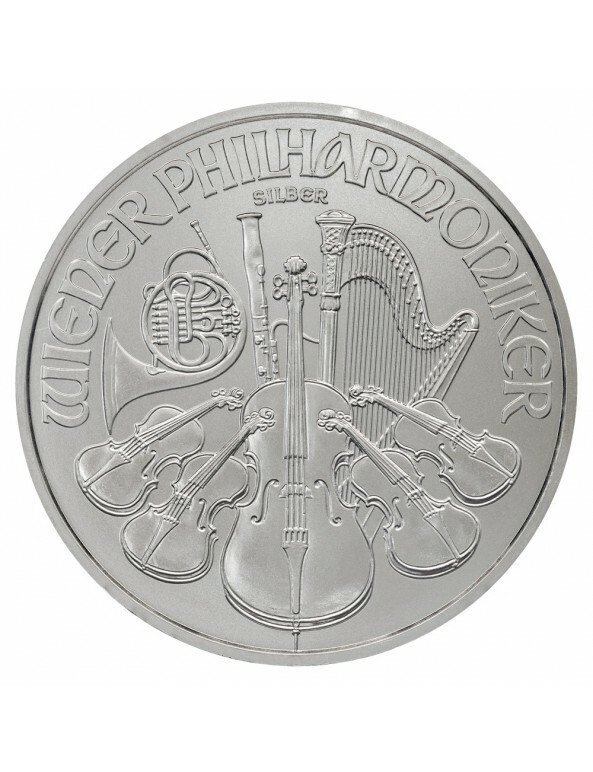 The coin’s reverse is filled with an impressive collection: four cellos with a string bass centered in the foreground, and a Viennese horn, bassoon, and harp in the background. 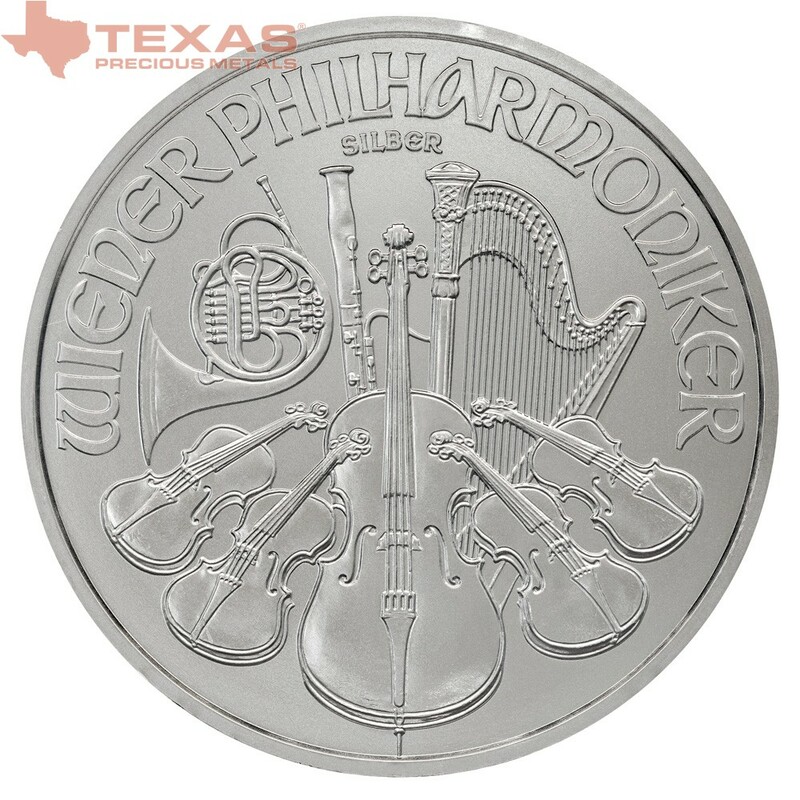 Vienna Philharmonic, written in German as “Wiener Philharmoniker,” is engraved in the coin’s noteworthy lettering at the top of the design, and the word “Silber” is etched below the bold type in small print. 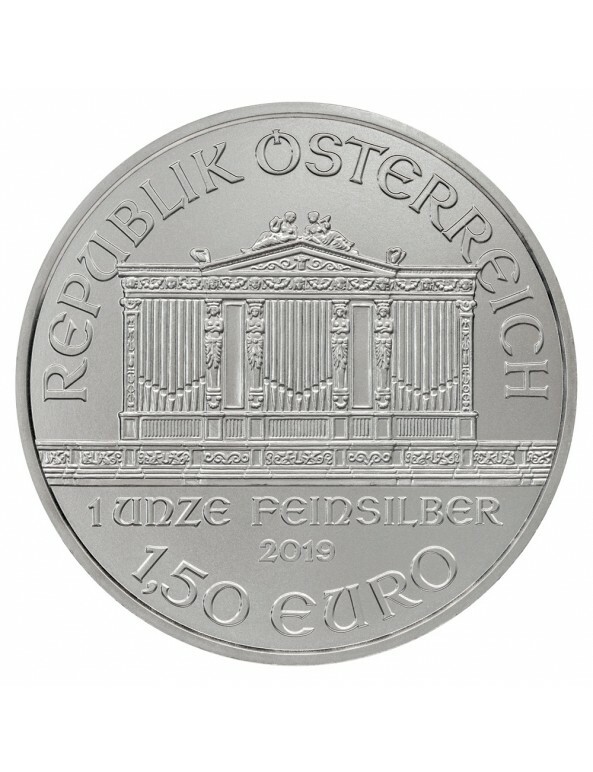 The famous Musikverein concert hall of Vienna, known as the home of the Vienna Philharmonic Orchestra, holds a grand organ that is featured in exquisite detail on the obverse of the Silver Philharmonic. The German word Musikverein, shortened from Wiener Musikverein, means Viennese Music Association when translated into English. 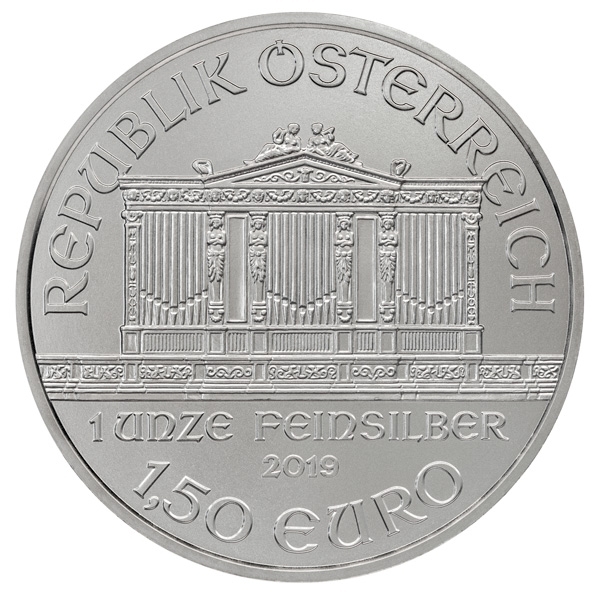 “Republik Osterreich” arches over the ornate illustration of the concert hall’s renowned organ, with the coin’s specifications – “1 Unze Feinsilber,” “2019,” “1,50 Euro” – listed in the open space directly beneath the depiction. 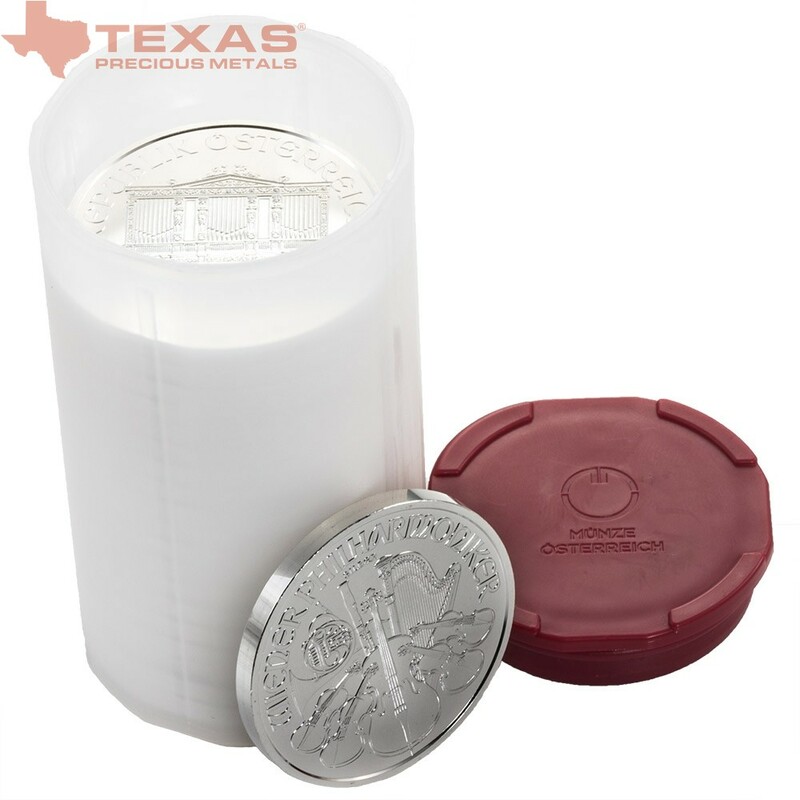 The 1-ounce Austrian Silver Philharmonic is 37 mm in diameter and 3.2 mm thick.